The building that houses your Optical Disc Replication equipment will need to be prepared for its arrival. 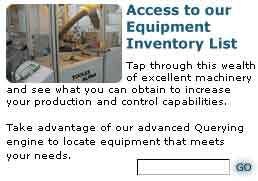 As each customer’s needs are assessed individually, so are their facility requirements. If our customer is a start up we will walk the company through the building requirements from how large the doors need to be in order to get the equipment in to the floor space necessary to efficiently operate the equipment. If our customer is an experienced replicator we will inform them of any requirement that is out of the industry norms. Dometek is ALWAYS there to answer a question any of our customers may have whether they are buying a replication line or an individual component.